This is Short and memorable tour package made by Ghum India Ghum Experts. In 3 Days and 2 Night it will cover Bhavnagar, Palitana, Lothal and Velayadar. This Ghum India Ghum Tour Package will take you to an era 4500 year age. Arrive at Bhavnagar, on arrival check-in to the hotel. Later proceed for Palitana. 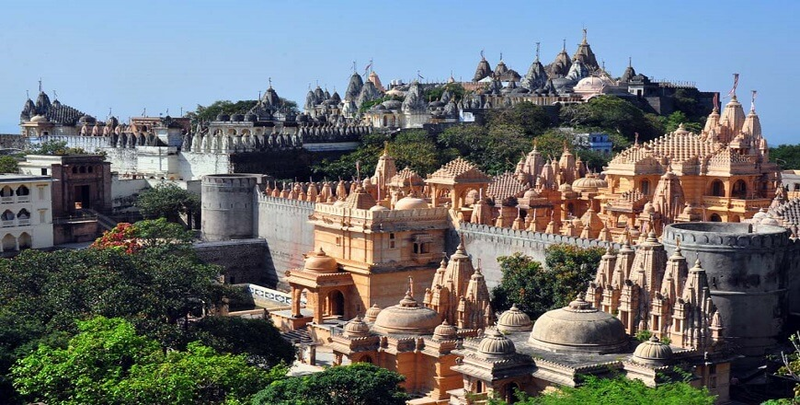 The Palitana temples of Jainism are located on Shatrunjaya by the city of Palitana in Bhavnagar district Gujarat India. The city of the same name, known previously as Padliptapur, has been nicknamed "City of Temples". Shatrunjayameans a "Place of victory against inner enemies" or "which conquers inner enemies”. Visit the main temple is reached by stepping up approx 3500 steps. It is said that 23 Tirthankaras (a human being who helps in achieving liberation and enlightenment). In the evening, visit Jain Museum and Handicraft Market of Palitana town. Later back to Bhavnagar. Overnight stay at the Hotel. Today morning after breakfast check out from the hotel & return Home with Happy Memories of Gujarat.